Award Winning Livvy and Rose! Last week I was officially handed our #SBS Award from Theo Paphitis! We won the competition last year and received our winners certificate at the annual #SBS winners event in Birmingham. #SBS is a competition set up by Theo (from TV’s Dragon’s Den) for small businesses. Each Sunday small business owners can tweet Theo about their businesses and tell him why they deserve to win. Theo reviews all the entries and retweets the winning tweets to his 490,000 followers. I was really surprised to hear that there have been over 370,000 #SBS applications since it was founded in October 2010 and just 2,500 winners have been chosen, that means less than 1% pf applicants win! Being an #SBS winner means you are a member of a fantastic network of small businesses and all winners are invited to the annual #SBS even where you can meet he man himself. The #SBS event for me was very inspiring and informative. I saw some fantastic speakers and presentations and came away from the event feeling motivated and with lots of ideas for Livvy and Rose. 2019 should be an exciting year for us so watch this space! 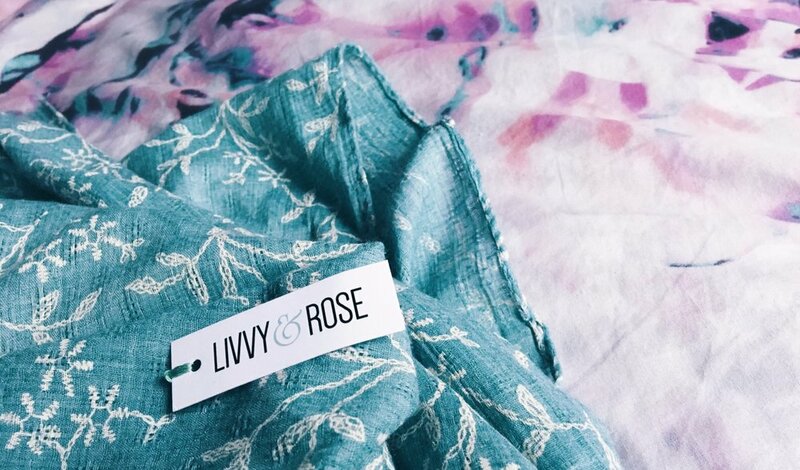 We love being featured on blogs and especially when it features little Livvy and Rose fans! Our cute Little Livvy range was recently reviewed on the fantastic blog Life with the Busbys, if you’ve not seen this blog before then see it here! It’s great to see real people with honest opinions writing about our accessories and we love Maisie’s styling of our clothes and accessories, we can see a future model in the making! Please take a look at our Little Livvy range for your little ones, we are adding new stock all the time, our unicorn range is particularly popular! We hope you like our new website cover photo featuring our Orange Sundress? The image is taken from fashion blogger What Corrine Did's latest post featuring Livvy and Rose. We love the styling of the Orange dress with the bamboo bag and sun hat, perfect for a summery look. The stunning backdrop of Corsica looks beautiful! What better place to wear our summery butterfly dress which also looks gorgeous teamed with the same wedges and bamboo bag. We love that these two dresses can be worn during the day for a stylish casual look and also accessorised so create a dressier look for evening - perfect for a late summer holiday. Mixing and matching outfits with the same accessories means you can pack lighter and also create different looks on holiday. We hope you like the feature from What Corrine Did, check out her blog for more fashion and lifestyle inspiration. This week we were shocked but very excited to be picked as one of Theo Paphitis's #SBS Twitter winners. Every Sunday Theo asks for business to tweet him saying why their business should win, then Theo picks six winning businesses from thousands of entries and then retweets the winners to his 500,000 Twitter followers. The winners get to meet Theo himself at a big winners event in February. We are so thrilled to have been recognised by someone with such amazing business credentials and are looking forward to joining the #SBS community where other winners offer support to each other and their businesses. Being an Inspire Awards finalist and now an #SBS winner, we're feeling very proud of ourselves here at Livvy and Rose! There are a lot of new things happening for Livvy and Rose in 2018. First of all we have launched our new clothing range to compliment our accessories collection. We've got casual tops, sparkly sweaters and cosy jumpers, all made by European brands which are great quality. We love this Bordeaux sweater with lacing detail, very on trend for this season and a really flattering fit. Our new clothing range is already proving popular - please let us know what you think, you can comment on our Facebook page or tweet us! We have also got new events planned for this year including pop up shops at the Market Place Shopping centre, Bolton, and Chill at the Cowshed in Horwich. We're really looking forward to seeing our customers at the new venues and showing everyone our new stock. Make sure you check out our Events page to catch our latest pop up shops. Finally, our most exciting news is that we've been nominated for the Entrepeneur and Start Up Award in the 2018 Inspire Awards which celebrates outstanding contributions women have made in and around Bolton. We're very proud to be a part of these fantastic awards - wish us luck! Livvy and Rose have been featured on several fashion blogs recently and we wanted to share them with you. Our accessories have been getting great reviews and we love how the bloggers have been styling them. Our best selling bag, the MISS LULU Half and Half bag, looks gorgeous on Olivia Mulearn's blog and also on Jessica Gutteridge's blog Heart Shaped Bones both girls have styled the bag to suit their own look and individuality, it's really interesting to see the same bag given two different looks. Our silver teardrop necklace was recently featured on Marianna Reid's blog and it looks amazing with Marianna's expert styling and creativity. There is also a Livvy and Rose interview so make sure you don't miss that! Finally we've also appeared in a fab Christmas gift guide over on Coastal Mummy's blog and we have to agree with her, we do have accessories to suit every woman in your life so make sure you have a look through our collection when you're buying your Christmas gifts. We love seeing Livvy and Rose accessories being worn and enjoyed by you all so don't forget to share your pics on Instagram and tag us #livvyandrose. We're definitely into the new season now and although we're sad to see the back of Summer, we're very excited to embrace Autumn and the new range of accessories at Livvy and Rose. Summer cotton scarves won't be going anywhere just yet as they are perfect for accessorising Autumn outfits; wear with jeans and your favourite tee or with a light knit top when the weather is a bit cooler. Our Ulyana scarf is new to the collection and is a beautiful scarf for Autumn, wear it with a plain tee, skinnies and boots for a stylish look. With the arrival of our new woolly winter scarves and hats we're looking forward to wearing some chunky knitwear on the colder days ahead. Our favourite is this beautifully soft pom pom scarf, available in pink, grey and cream. Our new Miss Lulu bags range are gorgeously glamorous as we head towards the party season. Look out for more sparkly pieces that will transform your little black dress (and make perfect Christmas gifts too!) We'll be adding more to the range over the next few weeks so keep checking the website for updates. We can't wait to show you our new collection and hope you can make it along to one of our events. Of course everything is available to buy online too with FREE UK delivery! We have taken delivery of our new season scarves this week and there are some gorgeous additions to our Autumn/Winter collection of accessories. We've set up a new section for winter scarves to make it easier to find what you're looking for. Have a look and let us know what you think! 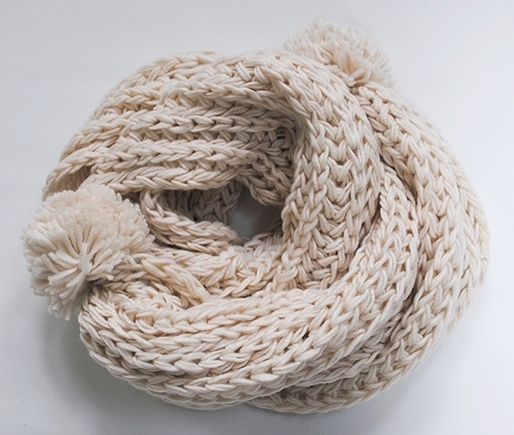 There are some lovely chunky knits available in a range of colours, I'm sure you'll find the perfect cosy scarf! We also have some new arrivals in our lightweight scarves collection, these are the perfect transitional accessory for Autumn. My favourite is the Ulyana Floral Scarf, it's such a versatile scarf and it will go with any outfit. I hope you like our new collection! We're heading towards the end of summer and all the fun of the summer holidays is coming to an end for kids all over the UK. One thing I look forward to at the end of the long summer break is buying the kids their new school uniform. They always look so smart on their first day back at school and I love seeing all the back to school photos on social media. My little girl will be starting school this week and the uniform rules are that girls must wear hair accessories in the school colours. My daughter's hair accessories are all colours of the rainbow and include bows, headbands, bobbles and clips - not one of them is the colour of the school uniform! Our new range of back to school hair accessories is now in stock so I'll be making sure my daughter has the correct hair accessories to fit in with the school colours. She will be able to wear plaits, ponytails or wear a hair bow and look super cute on her 'first day at school' photo! Have a look at our new Little Livvy 'Back to School' collection and make sure your daughter's accessory collection is ready for the new term! Photo Credit: Louise Dobson Photography. Visit www.louisedobsonphotography.co.uk for award winning family photography. We recently asked fashion, travel and lifestyle blogger Liz to review our gold & turquoise triangle pendant necklace and she has written a fantastic blog post for us! We love the way Liz has styled the necklace with this ASOS tropical skirt and H&M lace bustier, it's perfect styling for a summer outfit. Read Liz's blog post here! The necklace has been so popular that we have now sold out but the good news is that it is it is still available in silver & pink. It's a really versatile accessory that will see you through not only day to night but also from summer to Autumn when you can add a blazer or jacket. It's been a while since we've updated our blog but we have been busy with summer events and promoting our new summer stock. We've got lots of stunning new jewellery in our collection which will compliment your summer wardrobe perfectly. You can still buy beach bags and beautiful cover-ups in our Holiday Shop, make sure you order in time for delivery before you travel. Of course our bags and kaftans are perfect for summer here in the UK too, most of our bags are a great size for day trips out with the kids over the summer holidays. You can fit in everything you need for the UK weather from sun cream to an umbrella! We sent one of our gorgeous flower print kaftans all the way to sunny LA to blogger Britt Nicole La Hue - you can find her blogging at Diaries of a Domestic Diva. Britt has written a fab blog post about our orange flower kaftan and I must say it looks amazing in the Arizona sun. Our tropical beach bag is also a new favourite for Britt, take a look at her review here! We hope you find some summer style inspiration in our collection, don't forget to follow us on Instagram, Facebook and Twitter for all our latest news. 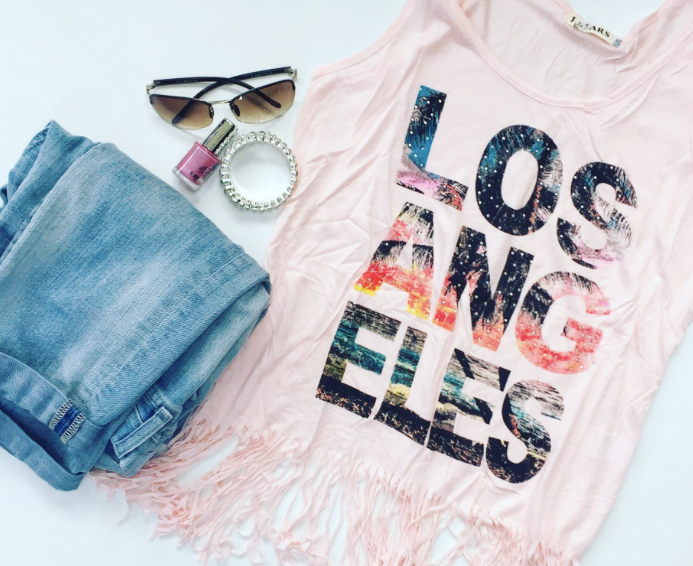 We're well and truly into spring now and we're already planning our summer wardrobe ready for when the weather hots up! We have lots of new additions to our summer collection for ladies and little girls, our new Holiday Shop page features all our new stock and holiday accessory essentials. We love all our new beach bags and can't decide which is our favourite between the Olena Butterfly Print bag and the Harper Flower Print Bag. We also have a selection of ponchos and little girls sarong sets which are sure to be popular so start your holiday wardrobe shopping today! If you have a summer wedding or christening coming up we also have some beautiful jewellery to accessorise your outfit and don't forget there's free delivery on orders over £25, just enter FREE25 when you checkout. We're excited to now stock Boho Betty jewellery, a stunning collection of quality, stylish and on trend accessories. Their bracelets perfectly complement each other and are great for creating your own individual look by stacking them up and mixing the styles and textures together. The ultimate arm candy! You don't have to wait until Spring to show off these gorgeous bracelets though, this season has seen bracelets being worn over sleeves and it looks fab! Wear your favourite bracelet over a cosy knit sleeve and you have instant statement style, try it and see! We'll have more exciting stock arriving soon so keep checking our website and social media pages for the latest news. Hello and welcome to Livvy and Rose! We hope you like our accessories and new website. Please have a look around and let us know what you think. Our big cosy blanket scarves are perfect for wrapping yourself up in on cold winter days. 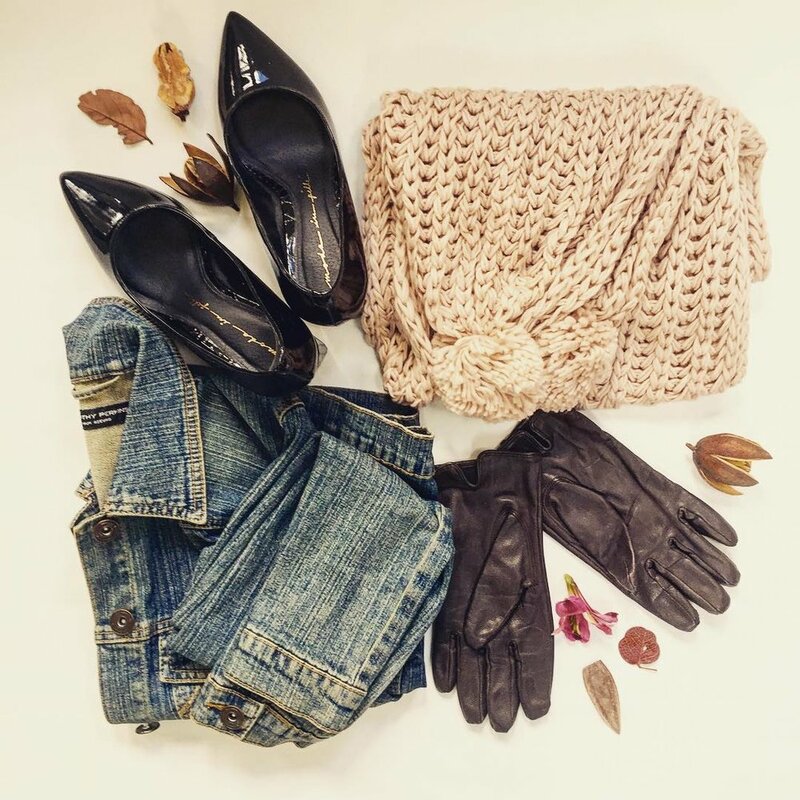 Teamed with a warm jumper, skinny jeans and boots, they're a stylish way to step out into the cold. I also love our new chunky knit scarves which are an every day staple in winter and they look great with any outfit.